The Hostos Center for the Arts & Culture Collection includes 101 promotional cards featuring original artwork that documents musical performances, gallery exhibitions and art installations that have taken place at Hostos Community College. The cards illustrate the incredible variety of artists and performers who have come together at this dynamic South Bronx venue. The Hostos Center strives to create forums in which the cultural heritages of its audiences – especially Latinos and African-Americans – are affirmed and nurtured. In the fall of 2015 the Center celebrated its 33rd year of showcasing artists and companies who define excellence in theater, dance and music – and embody the Hostos mission to be a cultural force in the Bronx and throughout the New York metropolitan area. The Hostos Center for the Arts & Culture consists of a museum-grade art gallery, a 367-seat Repertory Theater, and a 900-seat Main Theater, presenting artists of national and international renown. All festivals, concert productions, dance presentations, cultural observances and art gallery talks and exhibitions have been publicized through an original design poster, postcard or marketing tool that in itself is a work of art. Prominent artists and graphic designers have created visual representations of events and performances produced and featured at the Hostos Center. These posters have become collector’s items; some are featured on the walls of Hostos Community College. Others grace the homes of countless Hostos family members, community residents and Bronx institutions. These visuals immortalize an amazing history, breadth and scope of our most treasured cultural venue, the Hostos Center for the Arts and Culture. Since its inaugural season in 1982/83, the Hostos Center has presented renowned visual and performing artists as well as local professional artists. Numerous festivals and concert series showcasing the cultural traditions of the communities served have been a featured tradition of the Hostos Center. In addition, every season includes annual observances of Kwanzaa, Puerto Rican Heritage Month, Dominican History Month, Black History Month and Women’s History Month. The Hostos Archives and Special Collections house the Arts & Culture Collection in the college library. The Archives functions as the institutional memory of the college and collects unpublished materials of permanent historical value including official records, correspondence, papers and publications generated by the administration, academic departments, faculty, staff, special programs and student organizations since 1968. 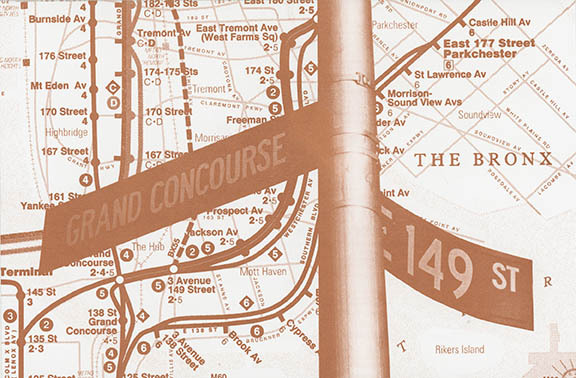 Through its collections the archives promotes an awareness of the diverse ethnic and cultural history of this unique bilingual institution and the surrounding South Bronx community that inspired it. The Center for the Arts and Culture has become an integral part of the college, however it was not established until a decade after the college opened. The development of Hostos Community College, as part of the City University of New York system (CUNY), was initially demanded during the mid-1960s by the large Puerto Rican, Hispanic and African-American population residing in the South Bronx. They wanted local access to higher education, so the community organized meetings and rallies to gain what they saw as a civil right. Their requests were heard in the Spring of 1968 when the college was founded, admitting its first class of students in the Fall of 1970; establishing the Hostos Center in 1982; and adding the Hostos Longwood Art Gallery in 1994. The Bronx Council on the Arts manages exhibits and programming in the gallery space. The zealous spirit of the original organizers has never left Hostos, and is continuously supported and engaged with at the Center for Arts and Culture. Wallace I. Edgecombe, the first director of the Center, was instrumental in establishing its identity and progress. He emphasized the Center’s responsibility as a cultural institution functioning under a college and promoted programs that were more than sensational in name value, but educational in content. The relation between African and Latin American communities and their (dis)placement in the United States is increasingly complex; it creates a multitude of identities and perspectives. The Center has become a conduit for exploring these complexities, and the collection of posters, cards and ephemera documents Hostos’s contributing role for the past three decades. These different identities are communicated in various artistic forms—through theater performances, art exhibitions, concerts, and festivals—but also through audiences. The center is specifically a Hostos facility, but it has become a staple in the cultural heritage of the South Bronx and New York at large. Conceived of at the height of the civil rights movement, Hostos was the first bilingual school in the CUNY system. It has been home to many student protests, rallies, and marches that embody the political spirit of the 1960s and 1970s. The collection presents a look into the community’s celebration of its rich history and heritage, with documents that are aesthetically pleasing objects within their own right. About Hostos Community College Eugenio María de Hostos Community College is an educational agent for change that has been transforming and improving the quality of life in the South Bronx and neighboring communities since 1968. It serves as a gateway to intellectual growth and socioeconomic mobility, as well as a point of departure for lifelong learning, success in professional careers, and transfer to advanced higher education programs. Named one of the top 10 finalists for the 2015 Aspen Prize for Community College Excellence, Hostos offers 27 associate degree programs and two certificate programs that facilitate easy transfer to The City University of New York’s (CUNY) four-year colleges or baccalaureate studies at other institutions. Hostos is part of CUNY, the nation’s leading urban public university, which serves more than 500,000 students at 24 colleges.